Despite shooting down persistent rumors of a reunion over the years, The Cool Kids finally made amends, and staged a surprise reunion last summer, which has, so, far produced a few singles (hear “Connect Four” below) and they prep their long-awaited new album. 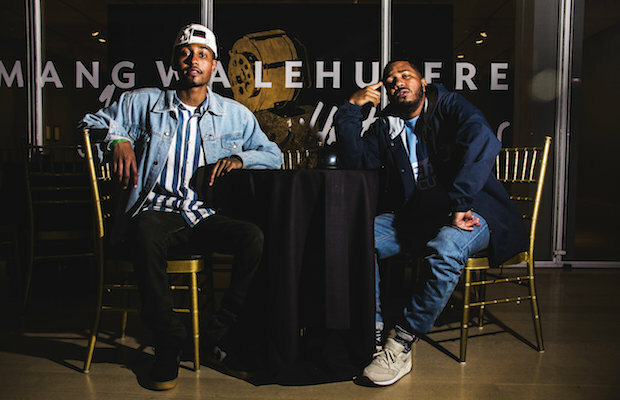 One of the most interesting hip hop acts of the last decade, and one whose run was undoubtedly cut short, we’re beyond thrilled to have The Cool Kids back in action, and even more thrilled that among just a handful of dates announced so far for 2017, the duo will play Nashville for what appears to be the first time ever, Feb. 18 at Exit/In with Pell and Jung Youth. Hosted by Red Bull Sound Select, you can RSVP here to score $3 tickets (while entry is not guaranteed, you’ll have to fork over $10 without an RSVP, so get your name in and show up early). Don’t miss it!